This interview appeared in the September/October 2015 issue of Dimensions magazine. When neurologist Annick Desjardins first heard about an experimental therapy that uses the polio virus to attack cancer cells, she admittedly thought it was an off-the-wall idea. 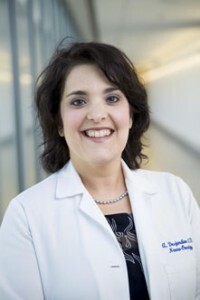 In the 12 years since then, however, Desjardins—now associate professor of neurology at the Duke University Medical Center in Durham, North Carolina, which is hosting the study—has seen remarkable results. The CBS show 60 Minutes even described the treatment, a form of immunotherapy, as potentially a “big leap forward.” In advance of her keynote address at the 2015 ASTC Annual Conference in Montreal, Quebec, Canada, this October, Desjardins spoke with Dimensions about scientific breakthroughs and how to share them with the public. Read the full transcript of this interview.